You've just read a book and you loved it. Maybe you find writing reviews intimidating but you still want to recommend a book. Maybe you haven't gotten around to reading a book but it's on your to be read pile. Maybe you just love supporting indie authors. Maybe you want to support more indie authors but you can't afford to buy every book. All of these are valid reasons to promote a book or your favorite author. And with the holidays coming, now is the perfect time to start recommending books. Maybe you're an author and you've come here looking ways to promote your book that cost nothing. You can encourage your readers to do all these for your books. Make it part of the new release part. Give free ebooks for the most recommendations or most creative placement of your book. 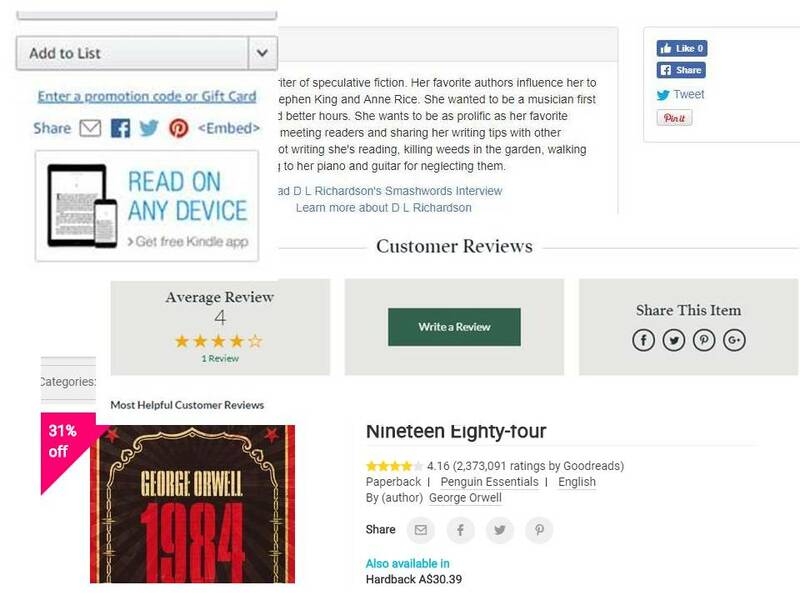 'Word of mouth' promotion is still one of the most effective means of advertising a book. quite simply, a personal recommendation from a reader is far more powerful than a 'buy my book' cry from an author. And with 30 million books on Amazon, some of our favorite books can quickly become invisible. Here is my top 5 ways to promote a book that cost nothing. 1. Add the book to your Goodreads 'Want to Read' list. When you select a book in Goodreads you'll see the green button that asks if you 'Want to Read'. Each time you click that button, it sends an update to the Goodreads home page for everyone to see. 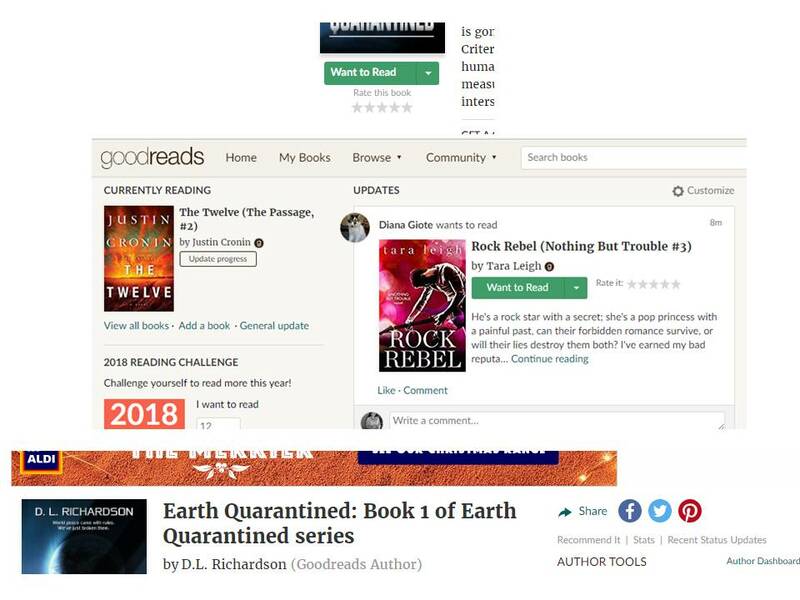 Goodreads has millions of readers searching for new books. Your one click could help them find your favorite author. Give yourself extra points if you also share the book to Facebook, Twitter and Pintrest. The great thing about Goodreads is that is solely dedicated to books. You won't find appliances or clothing on this site. 2. Retweet and share posts about a book release or giveaway. 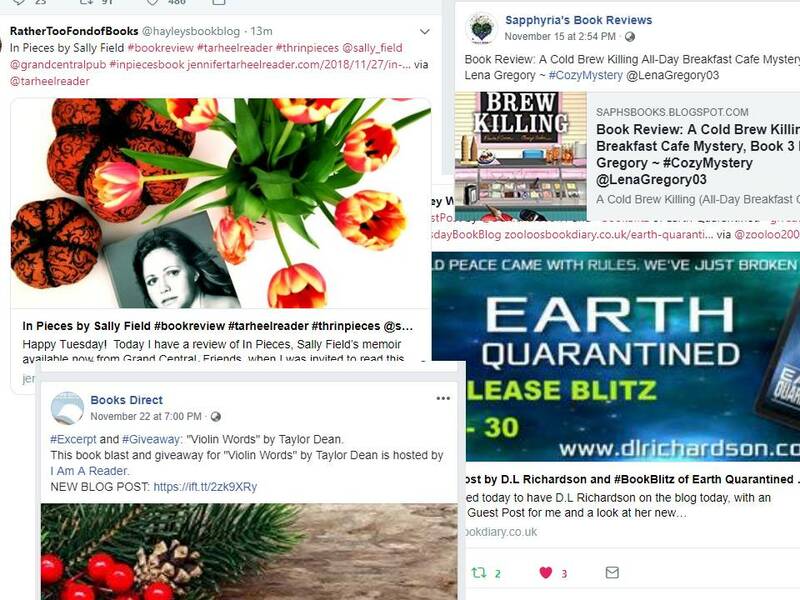 Many of these book release and giveaway posts are from bloggers who promote books for no payment. They hosts blog tours, giveaways, excerpts, interviews, guest posts, and some review books. They do this because they love books and they want others to love the books they love. As an author, I place high value in the blogging community. Share, comment, like the posts. Engage with the bloggers and other readers. Keep the writing community alive. Go into the blog site to share the post and leave a comment. 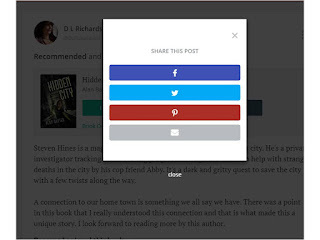 This engagement is helpful and most blog posts allow you to share and it lets them know people are reading. 3. Share to social direct from the book stores. Did you know that you can tell your friends and followers about new books directly from the online retail sites? You can share to Facebook, Twitter, Pintrest and also to email. I find this useful around holiday time when readers are looking for new books. Retail sites such as Amazon, Barnes & Noble, Smashwords, and Book Depository allow readers to share books as easily as clicking on the icon. I've found this type of sharing works best when you share to Facebook. The Twitter shares just have the text, and we all know that images matter. 4. Recommend the book on Bookbub. 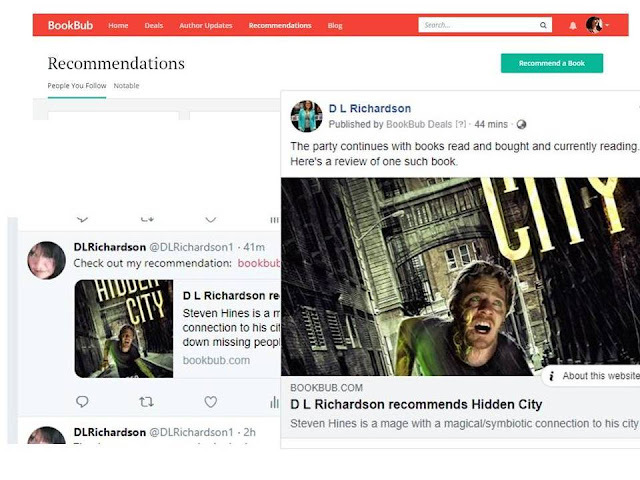 Haven't heard of Bookbub? Well you should get yourself familiar with it now! It's become the go to place for books and for books on sale. Readers sign up to the site and list their favorite genres. Then any books of interest are suggested to you via the website and their newsletter. The reason Bookbub is so popular is that it primarily features books on sale. Books that you recommend are then highlighted on their website and sent to your followers. Bookbub, like Goodreads, is a site solely dedicated to books. You don't have to be an author to have followers. 5. 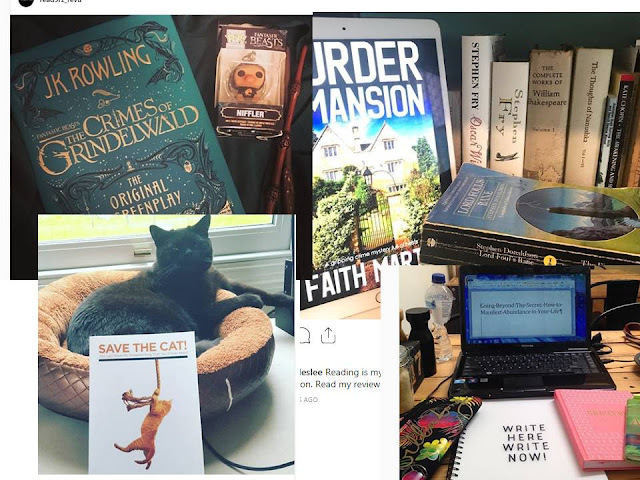 Take photos of books and share to Instagram. Instagram grew in popularity very quickly. It's safer (especially for kids) than Facebook and often less toxic, because the user can't sit down at a keyboard and sprout off a million hateful words. You also can't save the photos shares (though you can screen shot). It's no wonder if fast becoming a great place to share your love of books. Readers and authors are getting creative with sharing about their books, their writing habits, and books they love to read. I have yet to really maximize my usage in this platform, and it will be my 2019 goal to get better at it. What I love is how creative people are. They get out the props and take photos. many images are much more interesting than ones created for promotion. There you go. 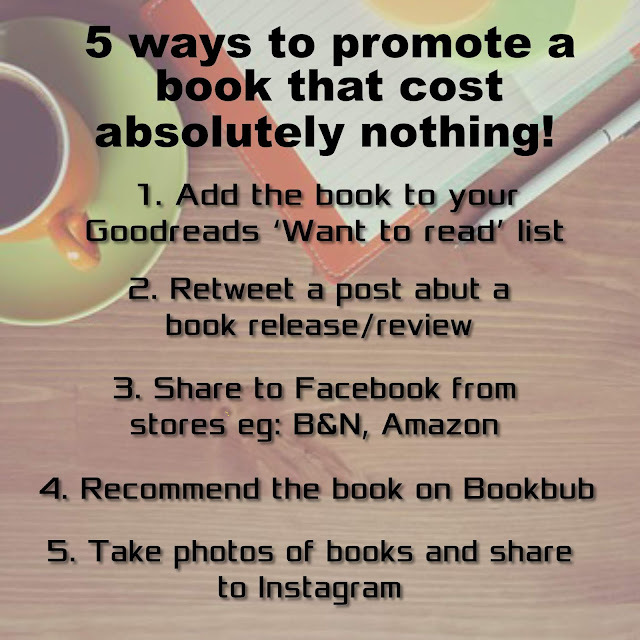 My top 5 ways to promote a book or author that cost nothing other than a few minutes of time and creativity. And with the holiday season just around the corner, now is the perfect time to share books you love so your friends can find a new book as a gift or for themselves.